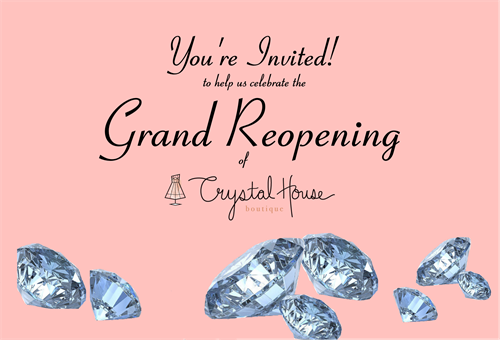 After month long renovations brought on by the effects of a brutal Minnesota February we are celebrating our Grand Reopening and 15th year in business! Join us for four days of celebration! Wednesday - April 24th: Take an extra 15% off already reduced clearance items! Thursday - April 25th: Receive a $15 giftcard with every $100 in purchases! Friday - April 26th: Receive $15 off any purchase of $50! MetroNorth Chamber Ribbon Cutting Ceremony with Refreshments at 11:00 AM. Saturday - April 27th: 15% off Storewide All Day Long!